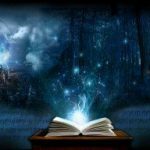 In November, LiteracyPlanet announced the introduction of the U.S. version of its program that already has broad usage and success across Australia, and the U.K. in addition to Middle-Eastern and Asian countries. Not only has LiteracyPlanet been shown to accelerate students’ acquisition of literacy skills, it integrates all aspects of literacy, from phonics, listening and reading to spelling, grammar and writing, into a single powerful platform from K-10th grade. 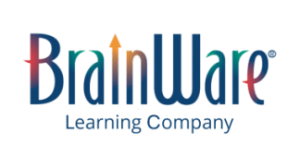 BrainWare Learning Company offers programs and tools that further the practical application of neuroscience to teaching and learning. The company and its programs have earned an impressive array of awards including the Software and Information Industry CODiE Award as Best Education Game or Simulation; a Parents’ Choice Award; a Teachers’ Choice for the Family Award; a Mom’s Choice Award; District Administration’s Top 100 Products in Education; the Association of Education Publisher’s Distinguished Achievement Award, the Academics’ Choice Mindspring Award, and a Parent-Test Parent-Approved Award. The company was recently named one of the 20 most promising global gamification technology solution providers by CIO Review. The company’s programs include BrainWare SAFARI cognitive skills training software, which is listed as one of the Ideas that Work in special education by the U.S. Department of Education, the Mindprint Cognitive Assessment, and SkateKids and Ramps To Reading cognitively based reading programs. The newest addition to the product line is Literacy Planet, a comprehensive English language arts program, aligned to standards and delivered online with thousands of game-based activities, for students in elementary grades through high school. The Company’s innovative approaches make the application of neuroscience practical and effective for consumers, educators, and clinicians and in the workplace. 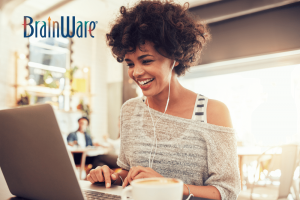 For further information, visit www.MyBrainWare.com or call 877-BRAIN-10 (877-272-4610). LiteracyPlanet is a fun, comprehensive language arts program for schools that helps builds students’ skills across multiple facets, including phonics, word recognition, listening, reading, spelling, vocabulary and grammar. The program is aligned to standards and consists of thousand of game-based exercises that give students a variety of ways to learn literacy skills. The new U.S. version extends the application of the learning platform from Australia and the U.K. education systems, as well as both native-speaking and ELL students around the world.